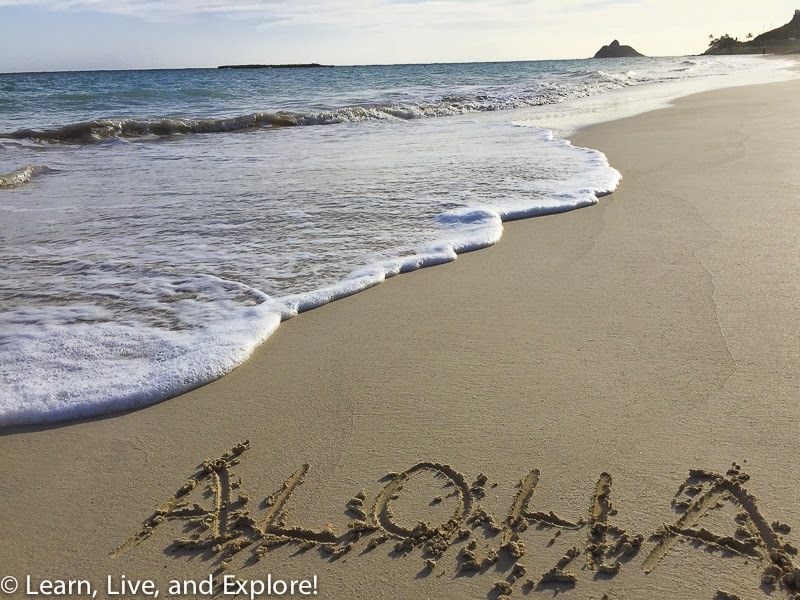 Ending the Year in Paradise - Adventures in Oahu, Hawaii ~ Learn, Live, and Explore! If there's one thing I know for sure, it's that whenever I go and visit my friend, Kristin, in whatever country or state she is currently living, I am guaranteed a lot of activities and adventure. We have taken a ride on an elephant in Malaysia, we climbed up to see Mt. Everest in Nepal, we almost had to bail over the side of a small ferry with a smoking engine on route from Terengganu to Palau Redang, and she is the reason why I initially got my SCUBA certification. Last summer, when she moved back to Hawaii, I put in my visit request right away because it had been maybe five years since I was back on the islands and over a year since I had last seen her. In five days, we went on six hikes, saw three waterfalls, kayaked out to an island, and ate (only) two shave ices. Oh, and we got stuck by President Obama's motorcade once, almost twice, too. 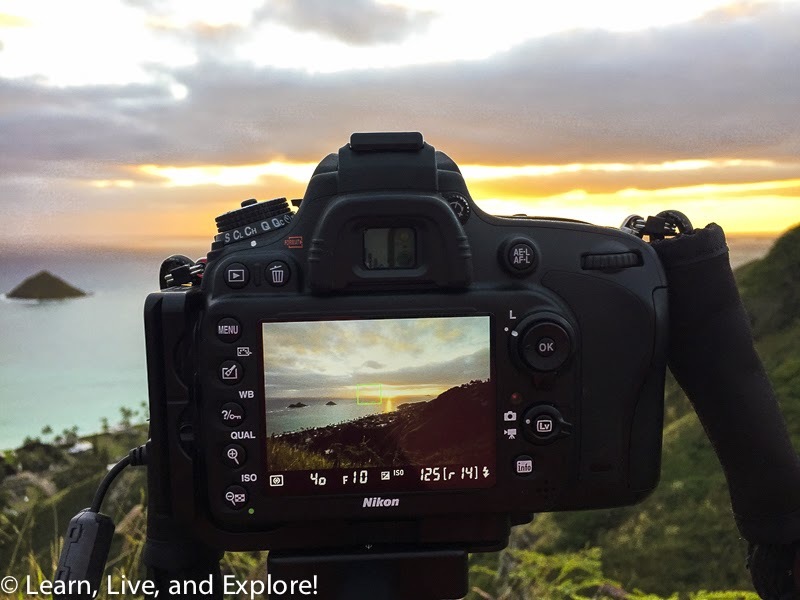 I took all my camera equipment with me on this trip to try to capture some of the beauty of the island of Oahu. Some of the photos on this post are from that camera and some are from my phone. 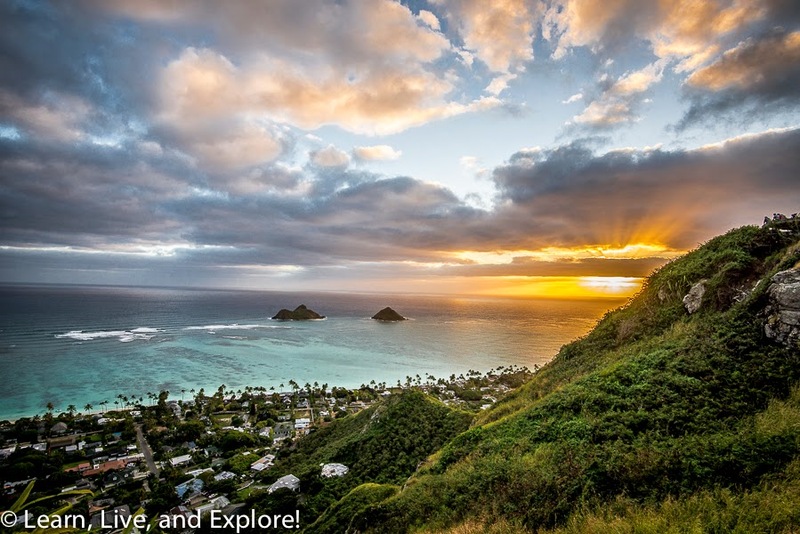 One photo I definitely wanted to take, especially since we were staying in Kailua on the east side of the island, was a sunrise shot. 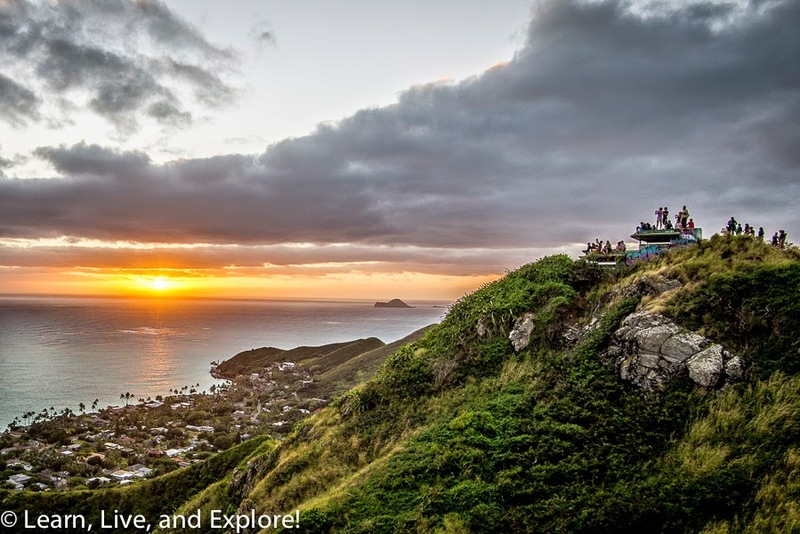 My friend said a great location is a pre-dawn hike to two pillbox concrete structures leftover from WWII that overlook Lanikai. 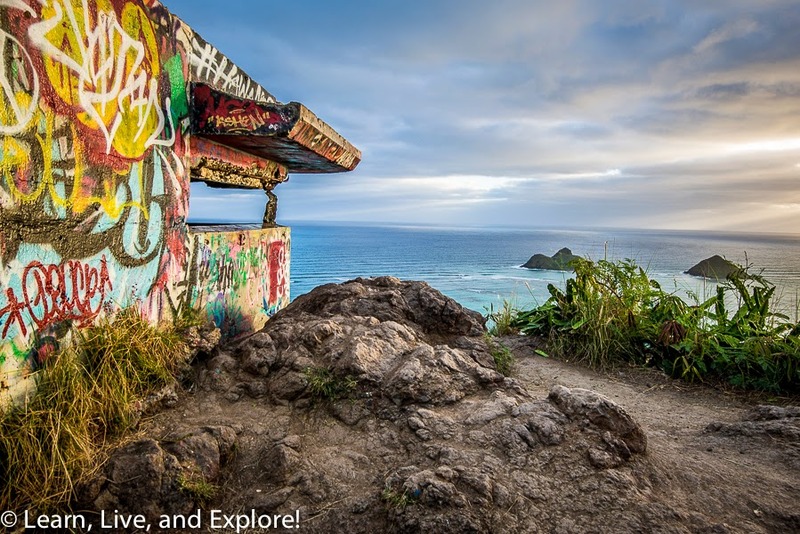 What my friend didn't realize was that, since the last time she lived in Hawaii, the pillbox hike has become exponentially more popular. Even with a crowded trail, we got up to the top in the dark with our headlamps in time to get in position for the sunrise. 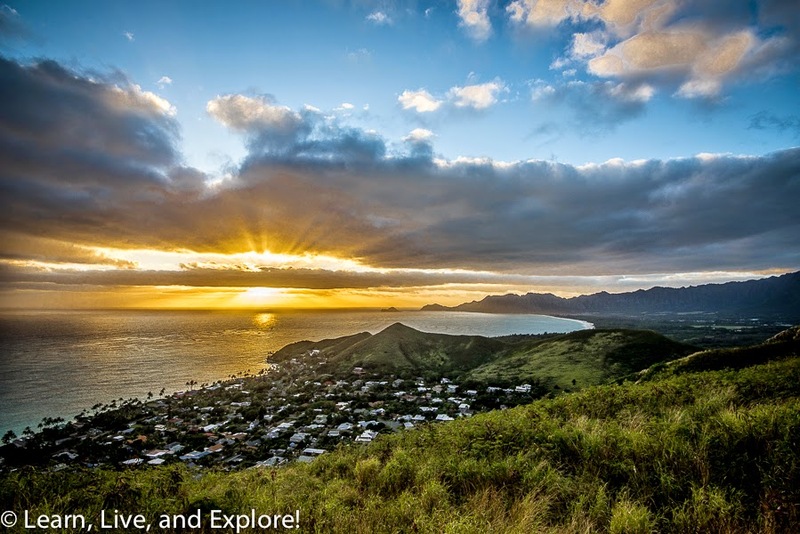 I set up in three spots to get the different overlooks over Lanikai Beach with the two "mokes" (Na Mokulua) islands, the pillbox covered in people watching the sun, and the view all the way over Waimanalo Bay to Makapu'u. 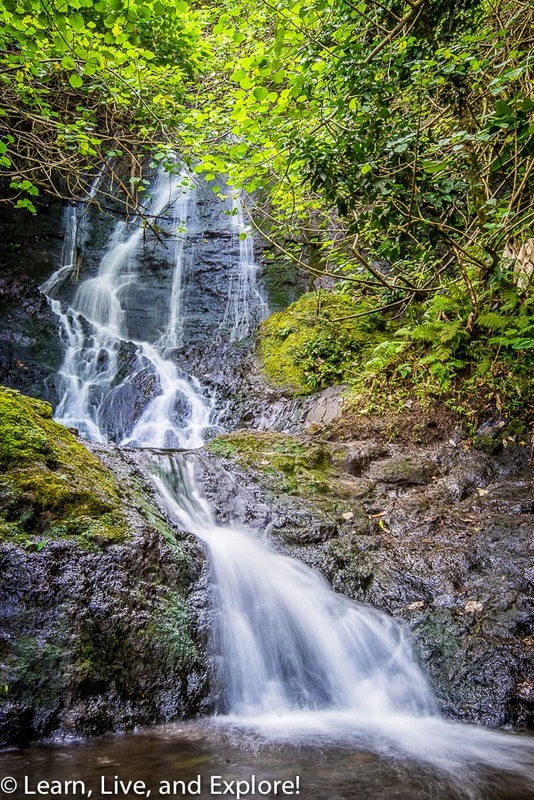 No trip to a Hawaiian island is complete without a visit to at least one waterfall. We hiked to three! 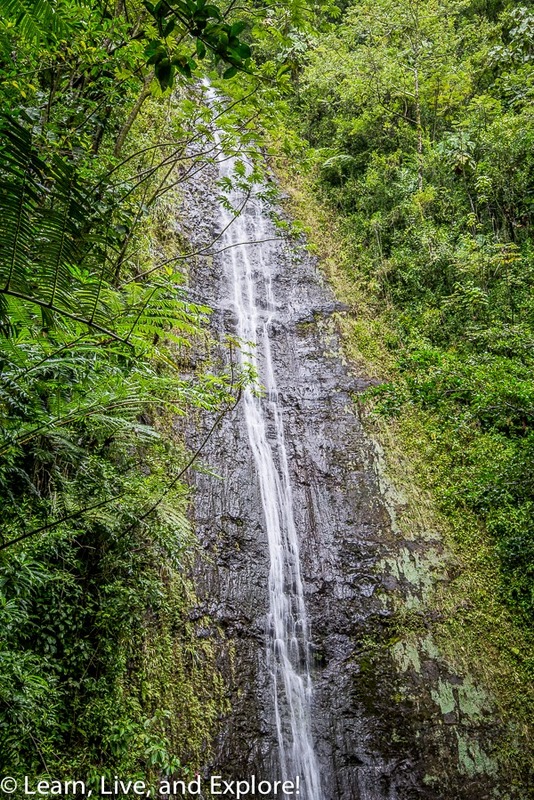 Manoa Falls is a very popular waterfall outside of Honolulu. 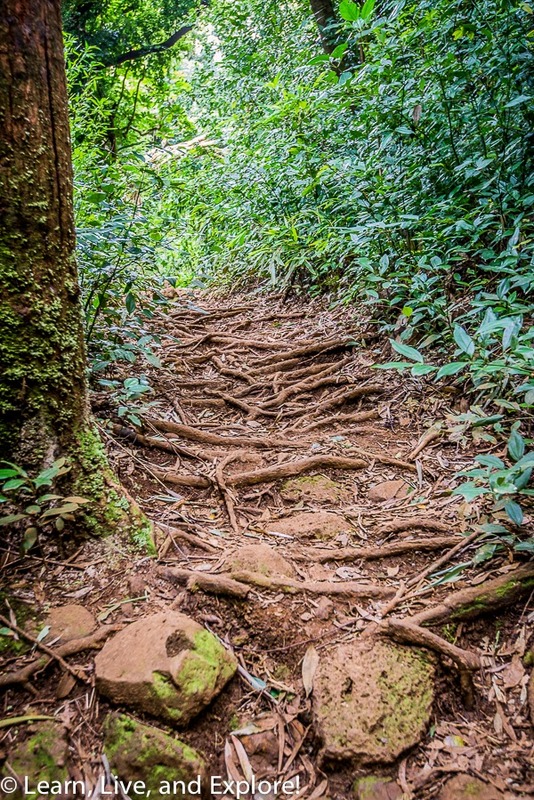 The trail is well maintained, but there were still some tricky areas towards the falls. 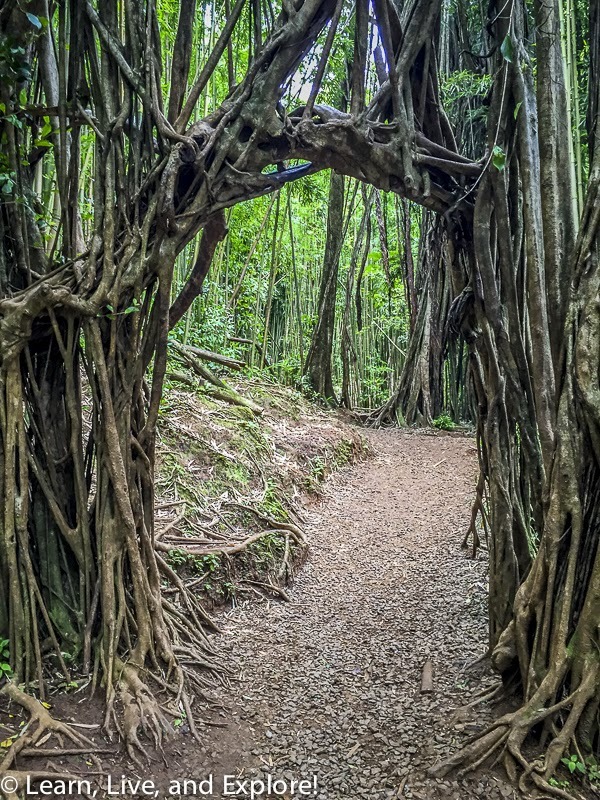 The views off the trail are great for fans of bamboo forests, banyan trees, and other jungle flora. 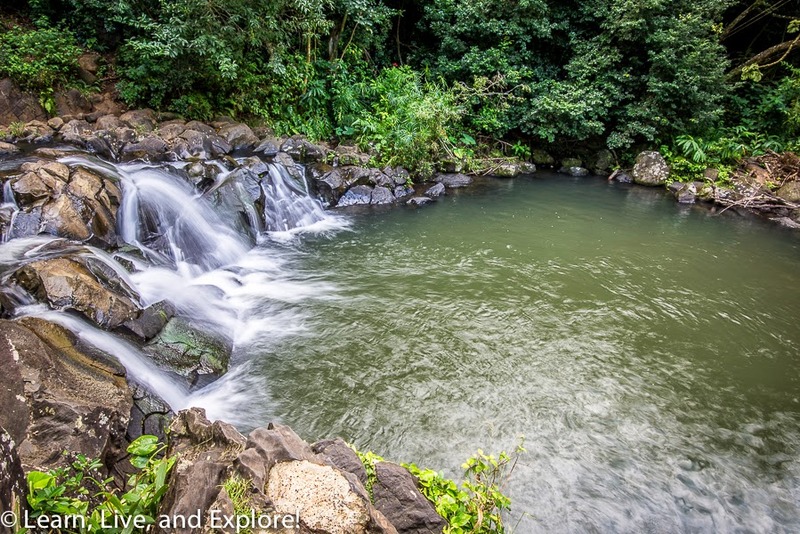 Even though the Jackass Ginger Pool, off of the Old Pali Road (Nu'uanu Pali Drive), is relatively close to the road, the area around the falls is not easy to maneuver. I had hoped to get to the other side of the pond to get a head on shot of the falls, but it wasn't going to be possible with all my camera gear. My favorite waterfall hike was a short 15 minute trail to Likeke Falls from the Ko'olau Golf Course. 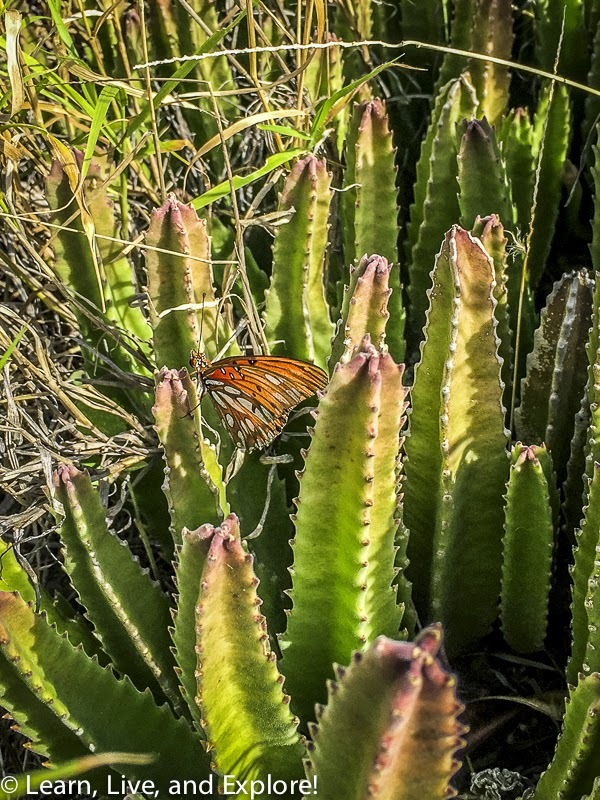 There were some beautiful tropical flowers on the trail, and it was not crowded at all - as in no one was on the trail. We did hear a "growling pig" but were pleased that the pig decided to leave us alone since we were not sure how to handle a wild boar encounter. 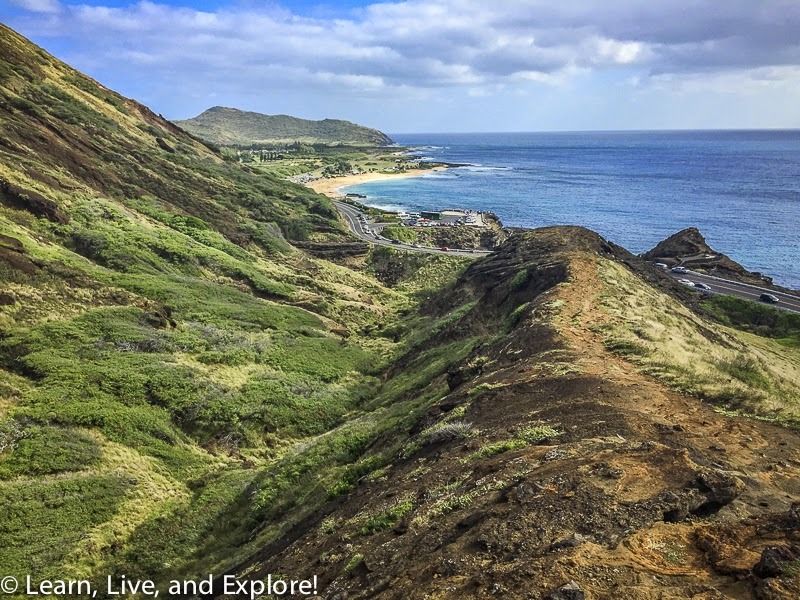 Non-waterfall destination hikes included a challenging trail to the Koko Crater Arch and to the ruins of King Kamehameha's summer residence. 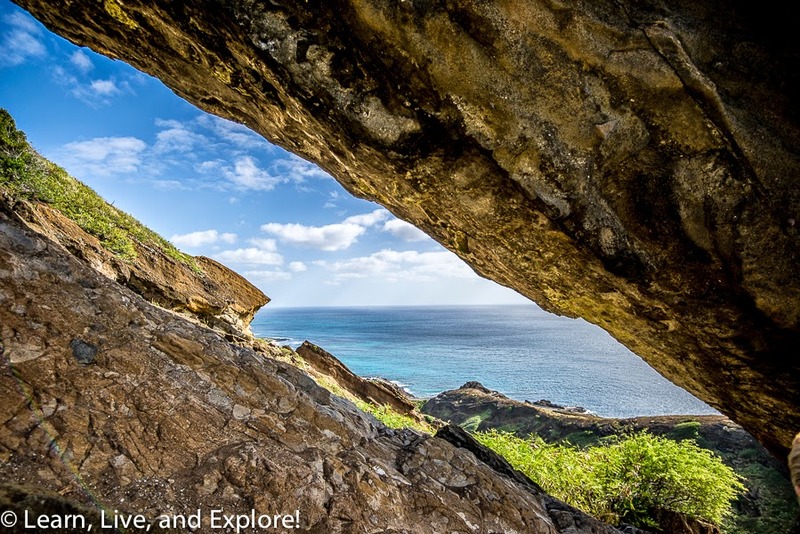 Located near the parking lot for the famous blowhole on the south part of Oahu, the Koko Crater Arch hike takes you up into the hills to a large rock arch formation that is visible from the highway. The easier route to the ridge of the hill that takes you the arch is on the west side. 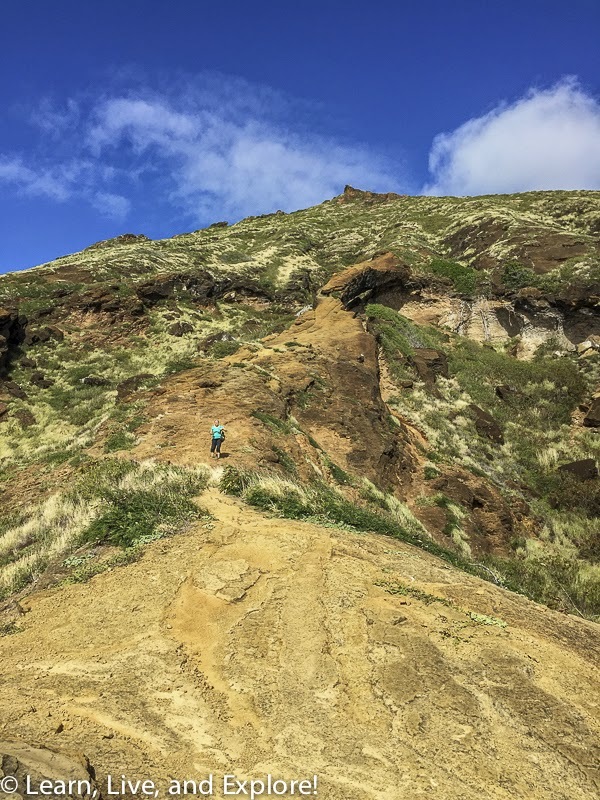 We, unfortunately, didn't know that and climbed up the east side that required a little bit of rock climbing skills, but nothing major because the lava rock was easy to climb with lots of grip. 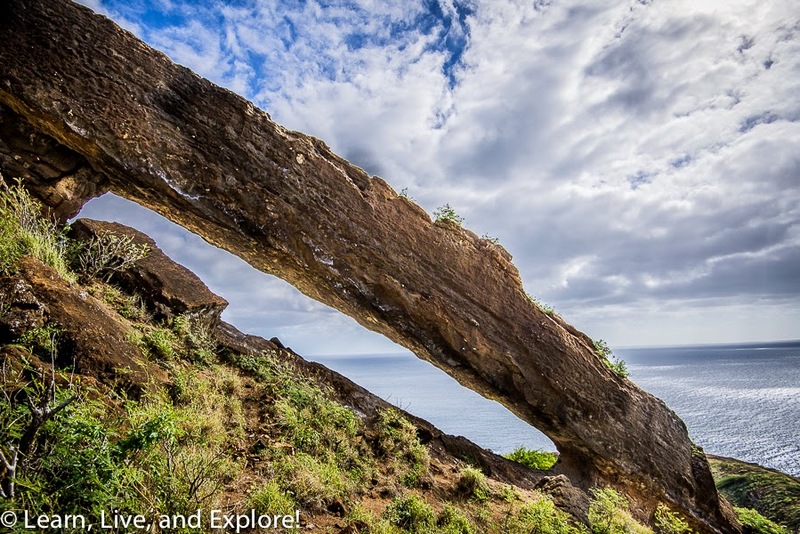 Hiking books suggest climbing on top of the arch because the trail leads further up to the actual Koko Crater Rim hike. I wanted to capture the arch itself, so we found ourselves climbing up the trail that placed you right under the arch. I took the route to the right of the arch and found that it required a spider climb with both legs and hands engaged. While I slid back down the same route, my friend took the other side back down and said it was relatively easier, but still required a little bit of sliding. 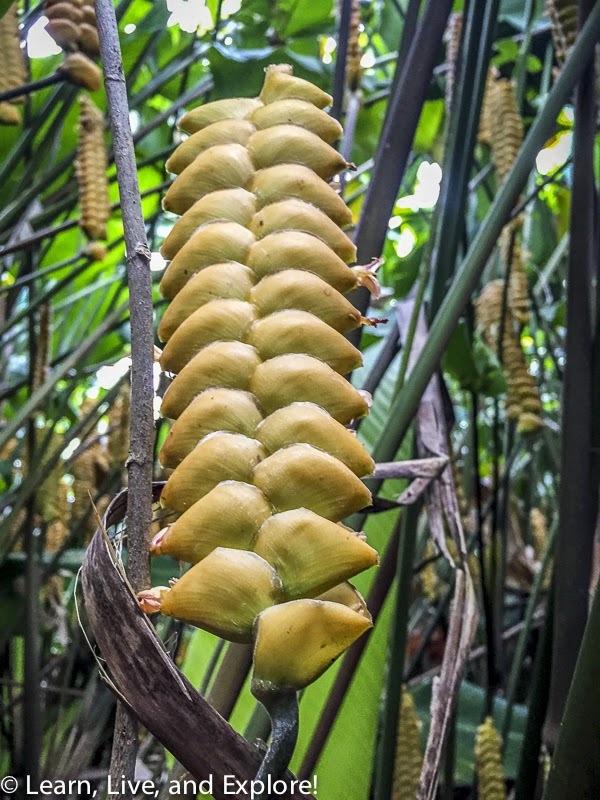 On our hikes, we encountered some beautiful tropical plants and other gifts from mother nature. The roots of trees in Oahu are unbelievably big and always seemed like they were present and ready to trip you on every trail. 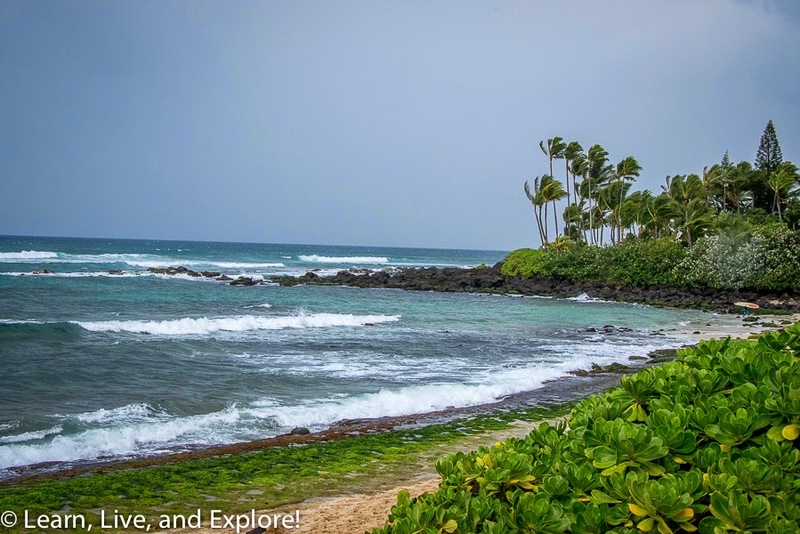 King Kamehameha's summer residence is an easy walk off of the Old Pali Road. 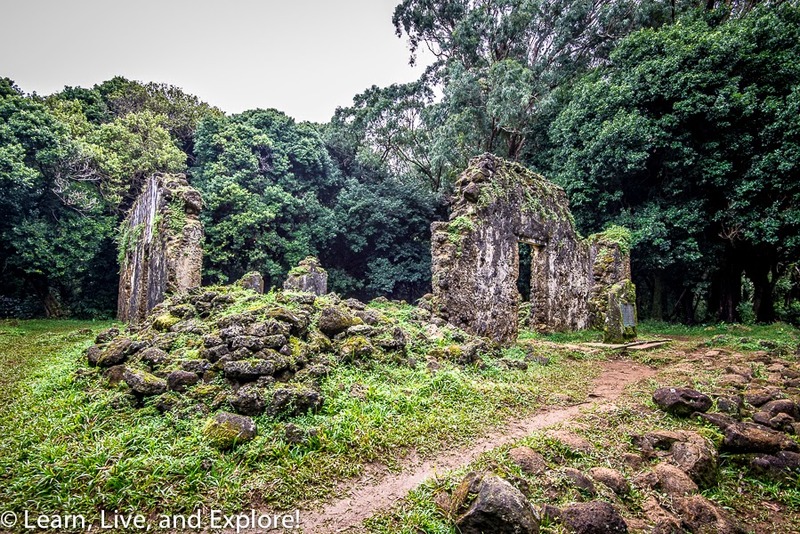 These ruins were once a palace used by the Hawaiian King in the 1840s as a way to escape the heat of the summer. In addition to the crumbling walls, you can still see remnants of the old water system to the palace. The rest of our adventures were primarily spent on or around the beaches. It is Hawaii, after all! The temperatures were slightly chillier than one would hope, but still warm and sunny. 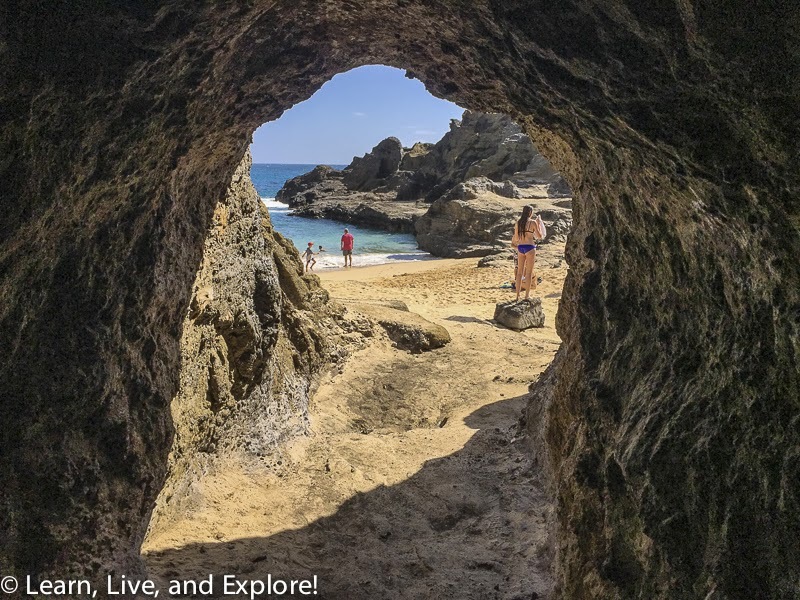 We climbed down to the beach next to the blowhole, made famous in the 1953 movie "From Here to Eternity," in order to see the large lava tube that extends under the highway. We tried to go from one end to the other, but the ceiling was getting a little too low and we didn't feel like crawling anymore that day. 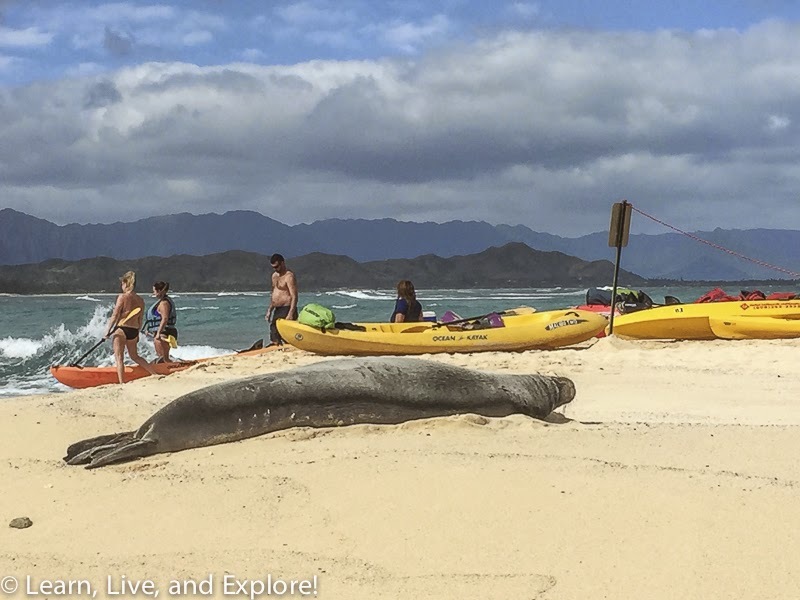 Another beach-based adventure took us out in the ocean on a double kayak to one of the "mokes" off of Lanikai Beach. 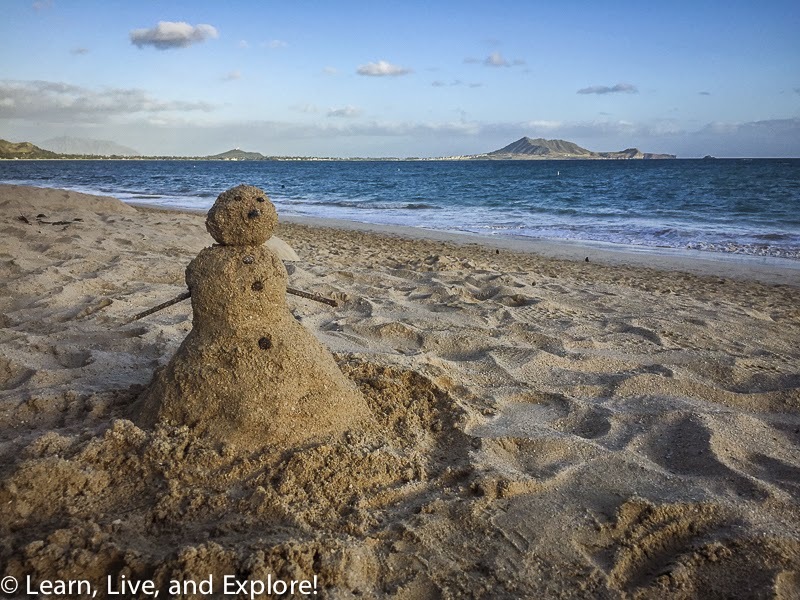 We actually launched from Kailua Beach, which is just north of Lanikai. This was my first time in a sea kayak, and needless to say my paddling skills could use a little more practice. My poor friend probably took on more than her fair share of the work! Thanks Kristin! 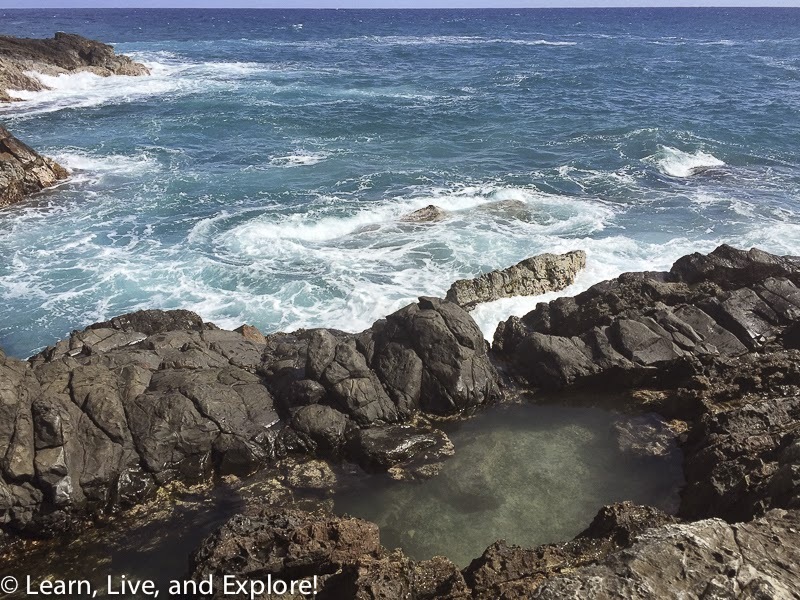 The reward for all our hard work getting to the island was a lazy monk seal sunning herself, and a short rocky climb to the island's popular attraction: Queen's Bath. This is a natural rock formation that has created two pools that look like hot tubs on the ocean. There were a few sea urchins in the bath to be aware of, but other than that, it made for a quintessential photo, relaxing in the "bath" with the waves crashing behind you. Of course, we still had to make it back to Kailua, and we had a scary incident trying to launch off the island. The waves had grown while we were exploring the island, and they were wrapping around and colliding right in front of the beach. We watched as others tried to launch and fail. Eventually, some locals who knew what they were doing helped by giving the kayakers a big push. We thought we would take advantage of their assistance. 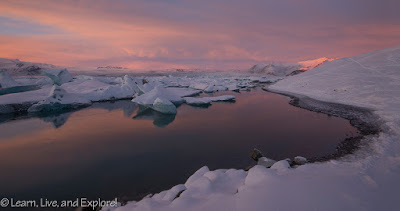 Unfortunately, luck was not with us and our timing was terrible - just as waves came at us from both sides - and we capsized and had to swim back to shore. Our second attempt to get off the island was successful, but still scary! 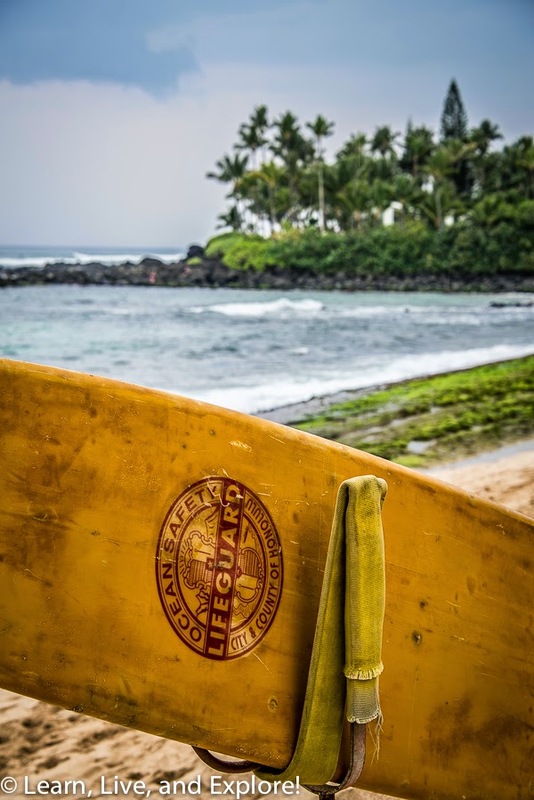 On one of our "off" days, I convinced my friend to do the trek up to North Shore with the hopes that the surf would be good and we could see some really talented surfers who travel to Hawaii in the winter. Alas, the weather was pretty stinky - wind and rain - and the swells were maybe only 6 feet. North Shore is a mess, traffic wise, so we took a break from the 5 mph crawl to see if we could find some napping turtles on Turtle Beach. Even the turtles thought that the weather was cruddy and were having more fun swimming than freezing on the beach. So with no surfers and no turtles, we tried one more activity - exploring tide pools at Sharks Cove. 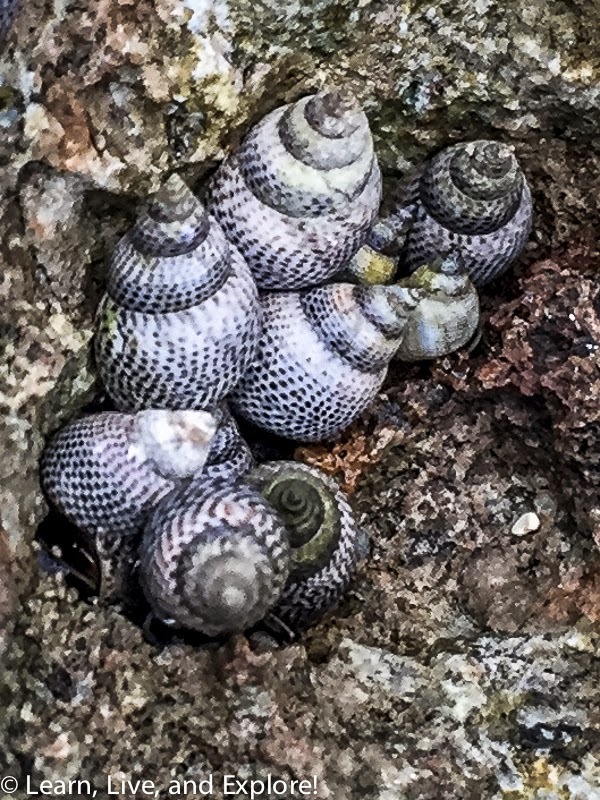 We didn't see much in the way of large sea creatures, but we did find a ton of tiny snails cuddled up inside their shells. So there it is, one jam packed Hawaiian vacation! 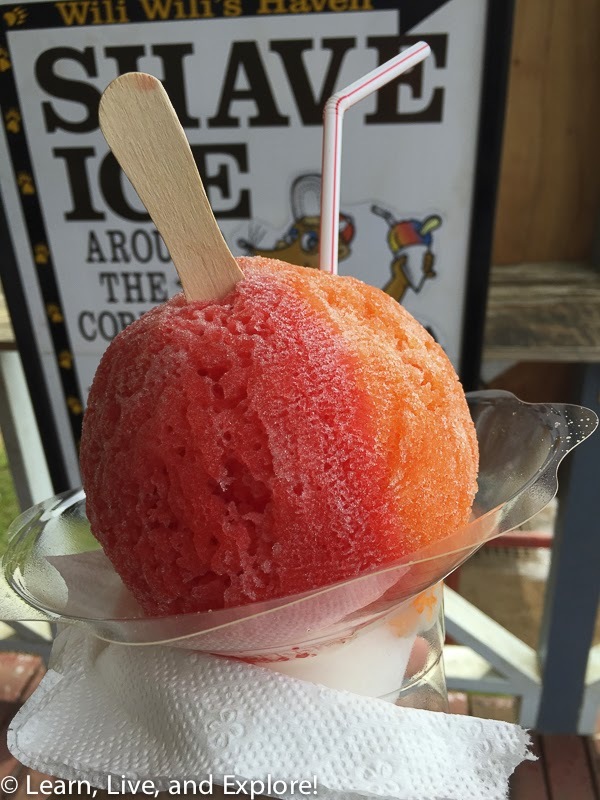 I'll leave you with a photo of my "small" shave ice, complete with a delicious combo of cherry and POG (passion fruit/orange/guava) syrups, and a photo from a quick beach night shoot that got cut short when clouds started rolling in. 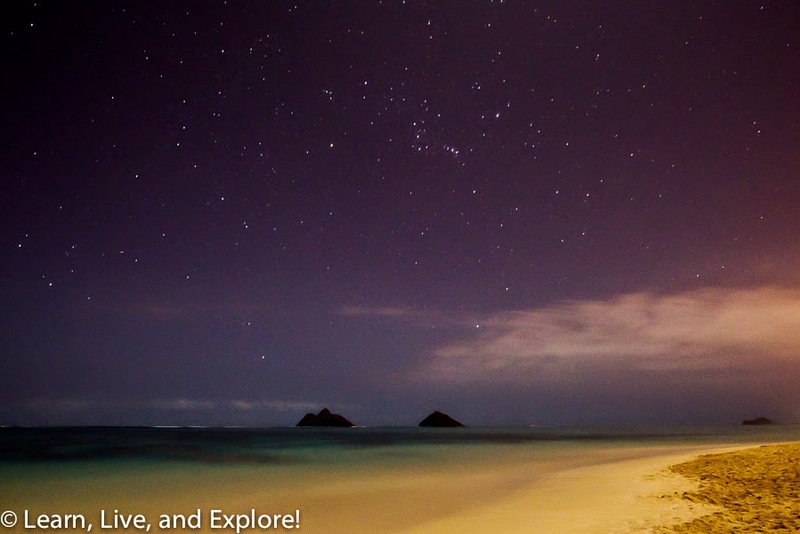 See if you can spot the Orion constellation above the mokes!